The Fire and Water Podcast Network Presents… WHO’S WHO: UPDATE ’88 PODCAST, volume 2! The second episode of our WHO’S WHO UPDATE ’88 podcast is now available — the show that dares to tackle one of DC Comics’ greatest publications! Each episode Rob and I cover a single issue of the legendary 1980s series, Who’s Who: The Definitive Directory of the DC Universe. 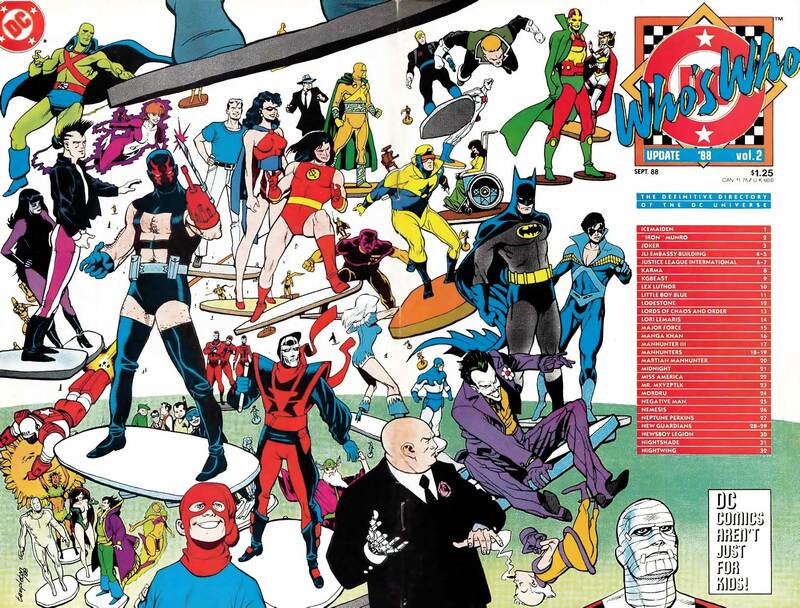 This time around we chat about WHO’S WHO: UPDATE ’88, volume 2, discussing characters such as Icemaiden, Joker, Lex Luthor, Lori Lemaris, Miss America, and more! We wrap up with your Listener Feedback! This episode sponsored in part by InStockTrades.com! Posted in: Podcast, Who's Who. I’ve been interested in the Kgbeast since I found out that his 1st appearance was in march 1988 which is also when I was born! Also, it was revealed in the batman: year three storyline that batman called the cops to arrest the kgbeast, but by the time they got there, the kgbeast already escaped. P.S. I never read the new guardians, but they are so strange and so obscure, I think it would be interesting if they are the stars of the next dc movie. Well, either them or xenobrood.